Just starting out? Have a small organization up and running but haven’t quite gotten around to writing down a budget? Even if you are just thinking about starting a nonprofit, you can benefit from a budget. A budget is a spending plan, and the most important part about it is the planning aspect, which makes you really think through your potential income and expenses. Here’s some help to get you started. Budgets are guides for organizations, not set in stone. 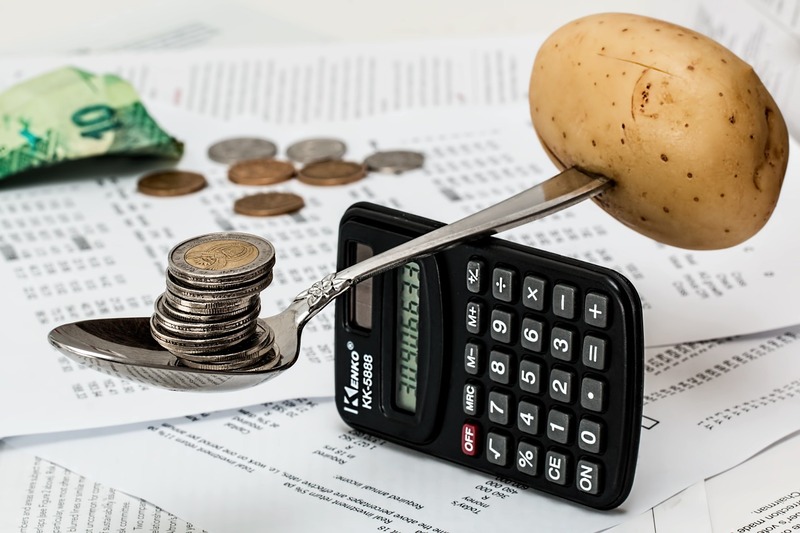 Things will change throughout the year, new funding sources will come in, a staff member will leave, an unexpected expense will crop up, so use the budget as a guide, and be sure to compare it to your actual income and expenses every month. Seeing where it didn’t match your projections will be tremendously helpful when you create a budget for the next year. Start on the income side. What are your current income sources? Are they guaranteed? If not, you may only want to include a percentage of each source based on the likelihood of receiving it. For example, you are applying for a $100,000 federal grant which is very competitive. If you count the full $100,000 in your budget, you could cause yourself serious problems in the future if it isn’t funded, so you may only want to include 10% of the budget as income. If you are just starting out, what income sources could you possibly tap into? Grants are hard to get initially when you don’t have a track record. Do you know people who would make a donation? Is there something you could sell that connects to your mission? Could you hold a fundraising event? Could you attract business sponsors? It can be hard to estimate how much you might earn from these revenue sources, so ask some other small nonprofits about how much they earn through these channels. If you have donors in mind, ask them how much they would be interested in donating. A firm commitment will help you plan much better. Create an initial estimate that is realistic as possible based on your past history or estimates of costs. Be sure to account for salaries, payroll taxes, benefits, insurance, rent, utilities, vehicles, supplies, office equipment, fundraising, accounting, advertising, mileage, printing, postage and event costs. Always include a line item for miscellaneous expenses to cover things you forgot or that come up unexpectedly, though this should be a very small part of your overall budget, 1% or less, as your budget should be a solidly thought out plan. Again, if you are just starting out, talking to other nonprofits will give you a better sense of actual costs, for example, what do they pay for insurance or accounting? Some nonprofits will have most of their costs in salaries, others will have much more in supplies. There’s no one right percentage for how those costs break down. If you have multiple programs, a more sophisticated nonprofit budget would separate out each program’s income and expenses, along with a prorated amount of the administrative costs, but you don’t need to worry about that if you are in the early stages of your organization. Now that you have your best estimate of income and expenses, take a look at what your net income will be for the year. Nonprofit budgets don’t have to balance, in fact that is rarely desirable. For most small and new nonprofits, you will want to show a surplus so you can save some money in reserve. Projecting a surplus is also another way to cover yourself for the inevitable of income too high and expenses too low in your budget. Here’s a longer discussion of that topic. That will let you get started with your first budget. Now that you have it, be sure to use it regularly. At a minimum, you should compare your income and expenses at the end of each month to your budget and see what the difference is between what you projected and what the actual numbers are. This goes a long way toward avoiding nasty surprises later on. This list of 13 budget templates will give you quite a few options to get started and help you make sure you aren’t overlooking an expense. If you are just looking for a simple one to get started, this spreadsheet in Excel format is a good starting place. Finally, this guide goes more in-depth on the whole budgeting process and offers good, solid advice. Let me know how I can help! Contact me at ingrid@ingridkirst.com or (402) 730-2532.